Filipino boxer Jetro Pabustan is set to face the hard hitting Japanese boxer Tatsuya Takahashi on July 3, 2017, in Japan. Pabustan is coming off a 2nd TKO win against Jomar Ministerio last March and is a former world title challenger. He was defeated by Panya Uthok in Thailand last year via technical decision. The fight was stopped by the referee due to a cut on Pabustan left eyebrow. Pabustan also has a good record of 28 wins including 8 victories by way of KO and has only 4 defeats. The 27 years old from Malapatan, Sarangani, Philippines is currently ranked no. 105 in the world. On the otherhand, Tatsuya Takahashi is a hard hitting boxer with a record of 26 wins including 19 big victories by way of KO and has 6 defeats with 5 draws. 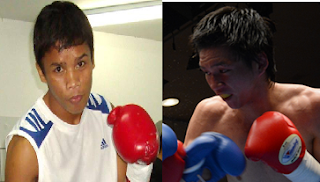 Tatsuya Takahashi won his last 8 fights and only lost badly by Rey Perez of the Philippines last 6 years ago. Takahashi vs Pabustan will be held at Korakuen Hall, Tokyo in Japan.